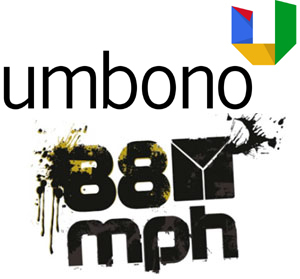 We recently received an email from Google’s Umbono program indicating that they have entered into a partnership with 88mph. Neither Umbono or 88mph have provided us with details as to the nature and structure of the partnership. But judging from our previous communication with 88mph, they planned adding Cape Town as a site for their accelerator program in 2013. In this regard the partnership makes sense as Umbono are well established in Cape Town. Umbono is a Google fund and accelerator based in Cape Town and is an integral part of the Silicon Cape initiative and invests seed capital of between $25,000 to $50,000 in South African based startups. We recently covered 88mph’s intention to invest $200,000 in up to 15 startups focused on the African technology market. With regards to their event in Nairobi for which applications close on the 15th of August, Chloé Spoerry of 88mph in an email to us indicated that for startups outside Kenya they will pay for flights all co-founders (up to 4 per startup) and all startups are offered the same office space in Nairobi. 88mph also helps the founders to find accommodation but this cost is covered by the founders. Each co-founder can get up to $6,000 in investment – which is paid/invested into the startup. Zimbabwean nationals don’t need a visa to travel to Kenya.